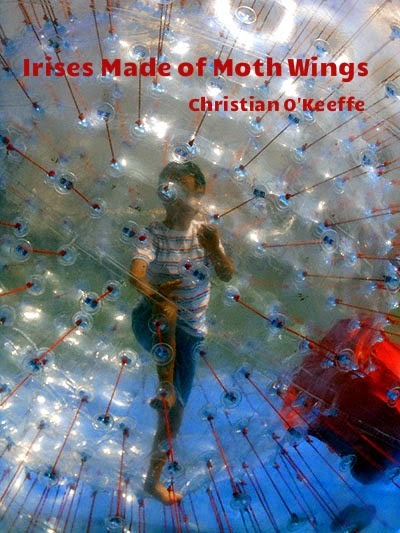 Irises Made of Moth Wings is offered at no charge in a saddle stapled edition, 8.5" x 5.5", with white cover stock, crimson endpapers and white photocopied pages. 1st edition of 99 copies published 14 September 2014. ISBN 978-1-940996-09-7. If you would like a copy, send your address to jc@crisischronicles.com or via snail mail to Crisis Chronicles Press, 3344 W. 105th Street #4, Cleveland, Ohio. The book is free. But if you'd like to send a couple dollars to cover postage, I would be grateful.